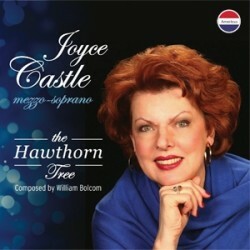 American composer William Bolcom (b1938) created "The Hawthorn Tree" to help celebrate the 40th anniversary of mezzo-soprano Joyce Castle's singing career. He used the texts from 7 American and English poets to create songs well suited to Ms. Castle's fabulous voice. World premiere recording.